Wednesday is apparently Apple Update Day, as the company has released iOS 4.1, iPhone Configuration Utility 3.1, and now iMovie 1.1 for iPhone and the new fourth-generation iPod touch. New in Apple’s portable video-editing studio is the ability to split video clips, automatic music looping when video extends beyond the music track, and an in-app page of tips to help users edit better movies. This version also adds support for the new fourth-generation iPod touch, which began shipping this week. You can also now scrub to preview clips in the Video Browser, the Photo Browser now displays newest images at the top, and a mute badge indicates when a video clip has had its audio disabled. Other performance and reliability improvements round out this update, which is now available in the App Store. 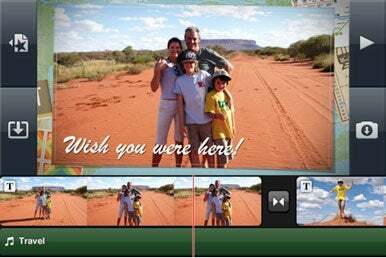 New customers can spend $5 to get iMovie, and it requires an iPhone 4 or fourth-generation iPod touch running iOS 4.1 or later.